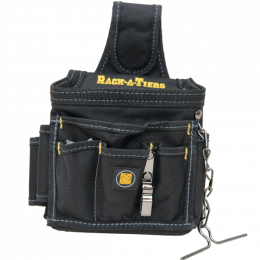 9 Pocket Tool Pouch – Rack-A-Tiers Mfg. 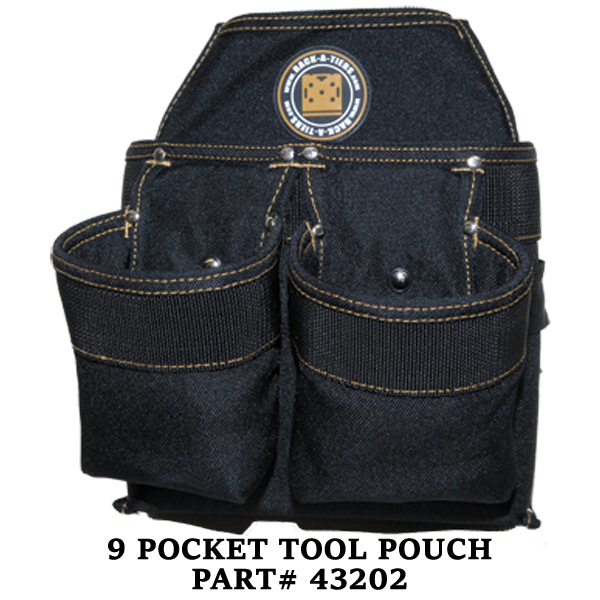 Extremely light and durable tool pouches hold everything you need and last forever. 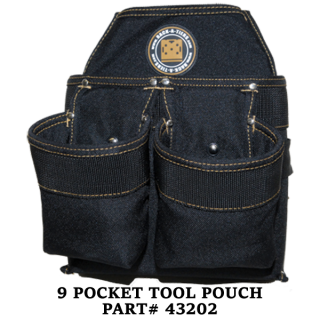 The best pouches and belts on the market, period.